The April meeting of the Cape Town Amateur Radio Centre included the video, by kind courtesy of Paul / ZS1S, of the K1N Navassa Island DXpedition of February 2015. This was the first such activation of that highly desirable DX location in 20 years. It was a most interesting video. Navassa Island is in the Carribean, south of Cuba, west of Haiti and east of Jamaica. It is small (5.4 sq km), flat and uninhabited except for occasional visits by Haitian fishermen. It is surrounded by steep cliffs, making transfer of equipment very difficult. For this reason the team and equipment had to be ferried in and out by helicopter. For various reasons, the nearest practical embarkation point was Jamaica. A write-up of the DxPedition, which achieved 140000 QSO's via 14 operators, can be read [here]. The April 2016 meeting of the Cape Town Amateur Radio Centre takes place on Saturday, 23 April, at 14h00, at the CTARC clubhouse in Rondebosch. 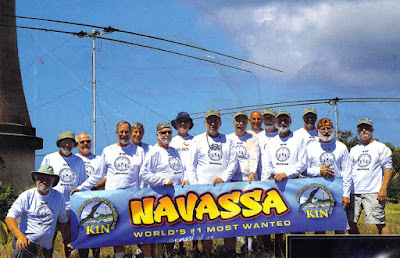 Paul / ZS1S, has kindly made available a DVD on the K1N DXpedition to Navassa Island, which will be screened at the meeting. Thereafter we will have the chance to chat over coffee and biscuits. See you at the meeting. The weather appears to have cleared ((temporarily) ! 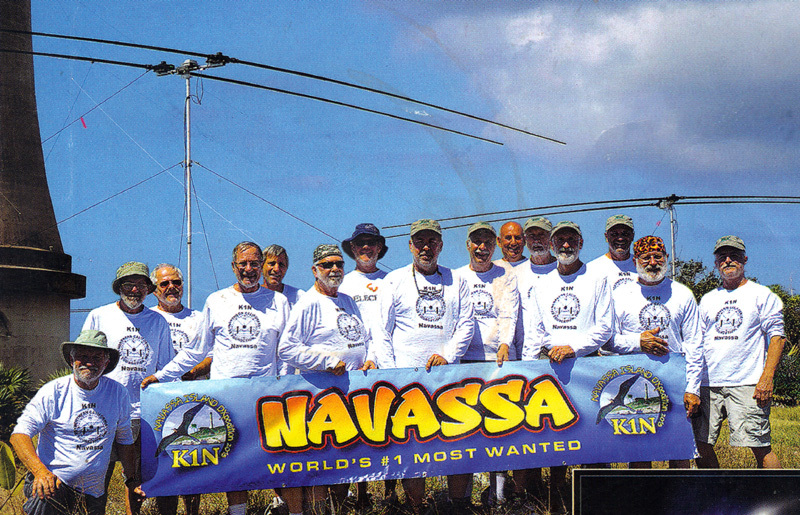 Above: The K1N team, who operated from Navassa Island in February 2015. 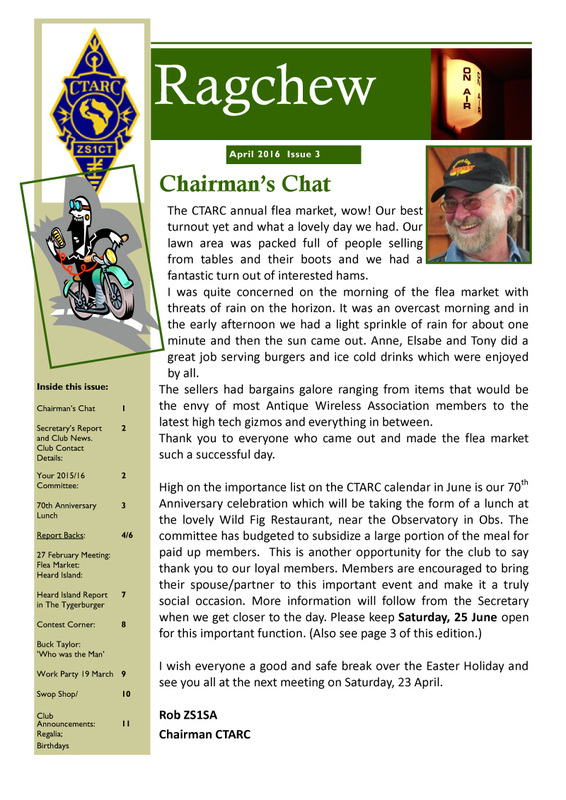 The April 2016 edition of the Cape Town Amateur Radio Centre's bi-monthly newsletter "Ragchew" has been published. 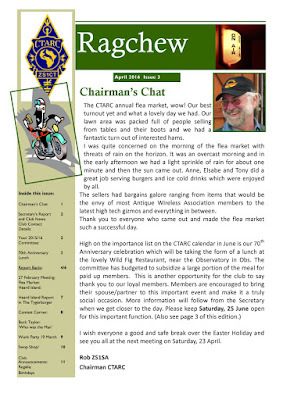 Grateful thanks to club secretary Anne for yet another fine edition!